Welcome to Southside Auto Wreckers. We specialize in cars and light to heavy duty truck parts. 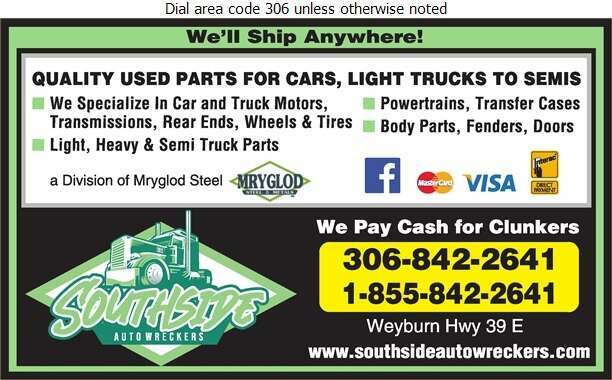 At Southside Auto, we are your one stop shop for all your used parts needs. Whether you need quality used parts, somewhere to recycle your scrap metal or a place to sell your old "clunker", we can help! 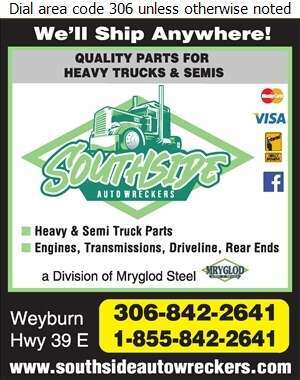 We are located on Highway 39 East just outside of Weyburn.